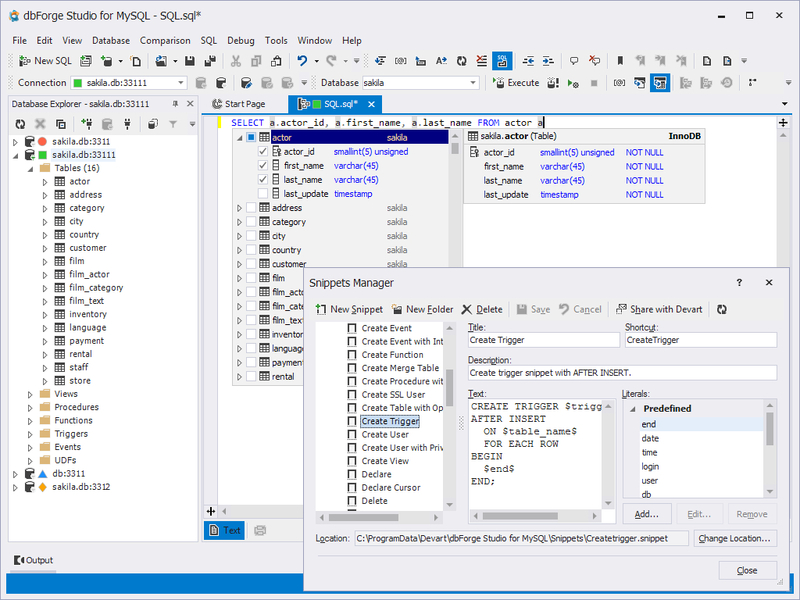 dbForge Studio for MySQL 6.1 - Download Win Apps. The universal MySQL and MariaDB GUI tool for database management. DFSFMS, v. 6.1 is the universal MySQL and MariaDB GUI tool for database management, administration and development. With the help of this intelligent MySQL client the work with data and code has become easier and more convenient. Devart's MySQL front-end provides utilities to compare, synchronize, and backup MySQL databases with scheduling, and gives possibility to analyze and report MySQL tables data.